Life insurance is an important part of making sure one is prepared for every eventuality in life, from illness to an early death, that could leave loved ones and family without a source of income. As such, the decision is not one to be taken lightly. It is critical to always take the time to read through the quote sheet, related documents, and application carefully. 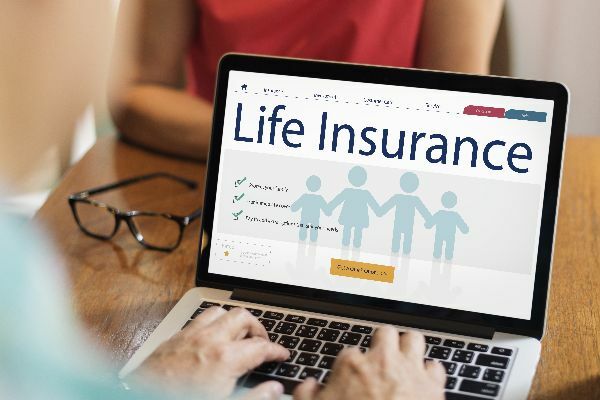 In many ways, applying for life insurance is similar to other financial products that require approval, from personal loans to health insurance. However, the life insurance process can take significantly longer, and that is totally normal. Whenever applying for a financial policy, the company offering said option will usually complete a process known as underwriting before approving the policy. In short, this is the way insurers, lenders, and other financial institutions can determine whether one is a good potential customer or not, and how risky it would be to offer their services. 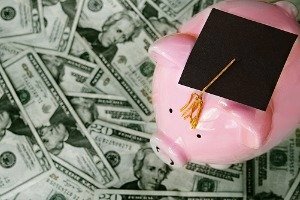 With most financial services, this process can be quick, as is the case with some kinds of loans. 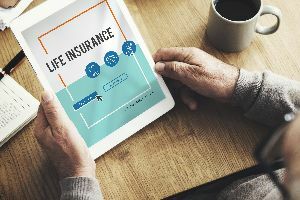 Life insurance, on the other hand, can have some of the longest underwriting processes since policyholders are being insured for a potentially large sum of money, and the risks attached to a policy normally spans decades. Life insurance applications are generally longer and more detailed than most other types of financial services, and the process of applying also involves more steps to complete along the way. Nevertheless, this should not be used a rationale to dissuade potential policyholders from applying for life insurance necessary to give peace of mind for loved ones. Continue reading to understand the process of underwriting, and how to help maximize the chances to acquire the life insurance policy needed at the best possible rates. The Basics: What is Underwriting? Underwriting is the process by which life insurance companies, and other financial institutions, determine how risky it is for them to offer potential policyholders their services. While this may seem like a nebulous concept, most financial providers have incredibly advanced and specific formulas that help them determine a person’s risk level. For life insurance, these formulas include information about health history, current status, and can even cover information regarding driving history along with past and present medication use. Although it might appear invasive, these factors must be evaluated to offer a policy that matches a customer’s needs while not financially harming the company providing the life insurance policy. Before getting started, it is important to make sure one is prepared for a process that could potentially take more than a few weeks to complete. This is simply because of the amount of information needed, and the time it takes to analyze some of the more detailed documents insurers generally request for submission. Some people believe that the underwriting process begins after completion and submission of a life insurance application, but the reality is that what is written in an application has a significant impact on potential approval. At this step, a life insurance provider is concerned with familiarizing themselves with a potential policyholder while finding out the basic details that will form the basis of the underwriting process. Insurance companies use an application to review basic vital statistics including age, weight, height, and gender. However, this section also includes some questions regarding lifestyle activities (participation in extreme activities, exercise habits, and other similar questions), as well as a basic overview of one’s medical history. While these might seem intrusive, they are designed to help expedite the process of underwriting. In some of these questions, people might be tempted to answer questions in a way that paints them in a more favorable light, either by changing their weight, or lying about their lifestyle. While it may seem like a clever idea, this is generally considered a bad practice. Most of these questions will be corroborated after a medical examination which are commonplace for many policies. If caught lying, premiums might be set higher, a favorable quote may be lost, or even worse, an applicant might be outright rejected. Overall, the application should not take more than an hour or two, and while thorough, will help get the process started if completed as fully and honestly as possible. This part of the underwriting process might seem intimidating, but is generally quick, and in many cases, can be skipped altogether. After submitting an application for review, most life insurance companies will request a quick paramedical exam, which is usually free. This exam generally takes less than an hour and is just a simple check up to ensure what was written in the application is accurate. This includes a checking blood pressure and pulse, verifying weight and height, and taking blood and urine samples. This process should not take very long, although in some cases, some insurers will ask an applicant to provide a document known as an Attending Physician Statement, or APS. This will be requested if a provider feels they need more information, but is generally not required as it can be expensive and can be time consuming. The medical checkup portion of the underwriting process can be over fairly quickly, in as little as 2-3 weeks. However, an APS might take much longer, as it requires a doctor or hospital to provide a full medical history and can also mean additional time for the underwriter to analyze the results. On the other hand, more and more companies today are offering waivers and exemptions from the medical examination. Companies such as SoFi and Haven Life which emphasize quick underwriting and insurance, will grant exemptions for participants within a certain age range, expediting the application process significantly. The best thing one can do during this process is to be transparent, and be ready to wait a few days. While the examination itself is quick, finding the right time in a busy schedule, as well as the doctor’s, might be a balancing act. Additionally, this is the component of underwriting where honest responses in the application will help expedite the process. APS requests tend to happen when an insurer finds discrepancies between the information provided and the facts gathered during a paramedical examination. Once these steps have been completed, an insurer will move forward with their review of the materials provided. Additionally, a life insurance company will also request and examine a few other public records to properly assess risk levels. This includes reviewing one’s motor vehicle report, which includes a history of prior car accidents, citations, vehicular crimes, and even DUI citations going back five to seven years. An insurer will also review the corresponding Medical Information Bureau (MIB) report. The MIB is a trade group that tracks customers’ history of life insurance and medical reports submitted during applications. This report is used to help prevent fraud, as insurers can examine previous applications and compare with the current one to make sure all the information lines up. In addition to the motor vehicle and MIB reports, an insurer will also review prescription drug history in conjunction with a medical examination to round out the bigger picture of one’s health. While it seems extreme at times, remember that a life insurance company must make sure that issuing a policy will not result in financial hardship for them. Additionally, a better understanding of health and personal conditions will help an insurance company provide the most beneficial life insurance policy for your needs. If unsure about what is on these different reports, copies of a motor vehicle report can be requested while a doctor can readily provide prescription history. More traditional insurers such as MassMutual and Northwestern Mutual tend to have a very involved underwriting processes, meaning an application will take slightly longer to process compared with newcomers such as SoFi. However, every company, regardless of how fast or slow their processes are, will take a very close look at all the records furnished by an applicant before approving the quote offered before the application was begun. This part of the underwriting process is a small informal phone call with one of an insurer’s agents. This is not required by all life insurance providers, and in many cases, can be skipped to go directly to the approval stage without any need to have an interview. During this conversation, answers provided during the application will be reviewed. Agents might ask about lifestyle habits—if you enjoy dangerous activities, work out, smoke, and more—as well as corroborate information provided regarding medical status. Be prepared to provide truthful and detailed answers as the best way to guarantee the most favorable outcome during the approval process. Overall, this process only takes a few minutes, outside of scheduling a time to speak with an insurance agent. Approved Standard: This is the most common rating received, and translates into receiving standard rates and premiums, including the quotes initially offered. Approved standard also means that premiums will remain locked in for the duration of a policy’s term, as these rates cannot be changed later due to lifestyle risks and other factors. Approved Preferred Rates: If an application shows the insurer that you lead a healthy and less risky life, they may approve the policy and offer a significantly discounted rate. This discount can in some cases reach as high as 30% and translate into thousands in savings down the line. Oftentimes, insurers will give the opportunity to change the amount of coverage and keep the premium the same, or leave coverage unchanged and receive a lower premium. Approved Substandard: If an insurer decides that there are numerous risks in your application, they may choose to offer approval at much higher rates compared to the Approved standard status. This may drive premiums as high as 500% of the average rate and can be influenced by lifestyle choices such as smoking, unhealthy eating habits, and a history of dangerous behaviors. Unlike standard approval, however, rates can improve over time if an insurance provider is shown evidence that the factors that led to your substandard approval have been corrected. Postponed: This does not mean that an application was rejected, but rather that the insurance company discovered a risk factor or condition that may become more prominent down the road. While this is not an outright rejection, it may leave an applicant uninsured for some time as the insurance provider is unlikely to immediately reevaluate the application. In these cases, it makes sense to look at other alternatives in case the original insurer choice takes too long to review the outstanding case. Rejected: While this is undoubtedly a negative outcome, it does not mean that you are uninsurable. If rejected, the first step to take is to request the rationale behind the denial directly from the insurance company. However, it must be noted that when working through an insurance broker, the broker is not authorized to receive that information. Additionally, the decision can be appealed and overturned in certain cases. If the appeal process is unsuccessful, it may be worthwhile to attempt to apply with a different insurance provider. While it may seem daunting, the underwriting process will largely depend on your answers and transparency during the application. To increase the odds of approval at the best possible rates, it is always best to give the most truthful responses, and resist the urge to make yourself look better. Moreover, identifying existing lifestyle risk factors that can easily be corrected and fixing them, such as not working out or unhealthy eating habits, can vastly improve the odds of acquiring the desired coverage. Finding the right life insurance policy and guaranteeing the best possible rates upon approval can a significant amount of take time. However, taking the necessary steps to fill out an application accurately and honestly makes it easier to assure success.